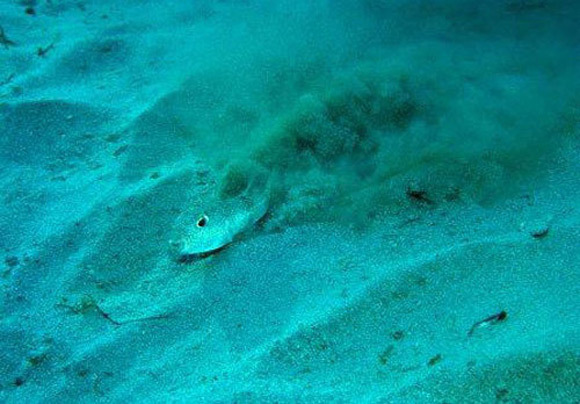 According to the National Oceanic and Atmospheric Administration less than five percent of the world’s oceans have been explored, meaning that 95% of what lies deep underwater on Earth has yet to be seen by human eyes. 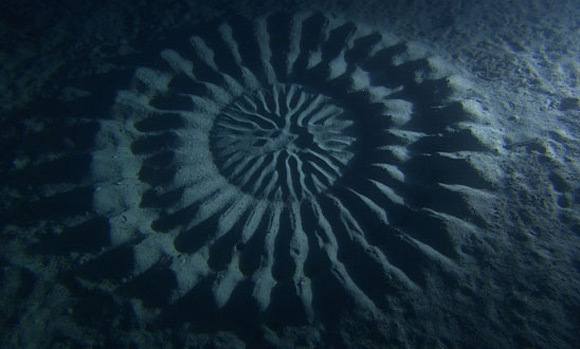 Using underwater cameras the team discovered the artist is a small puffer fish only a few inches in length that swims tirelessly through the day and night to create these vast organic sculptures using the gesture of a single fin. 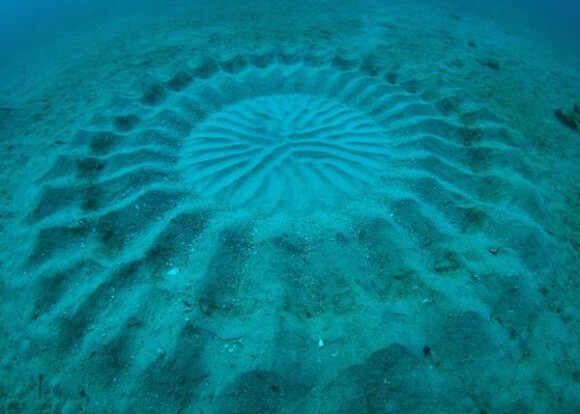 Through careful observation the team found the circles serve a variety of crucial ecological functions, the most important of which is to attract mates. 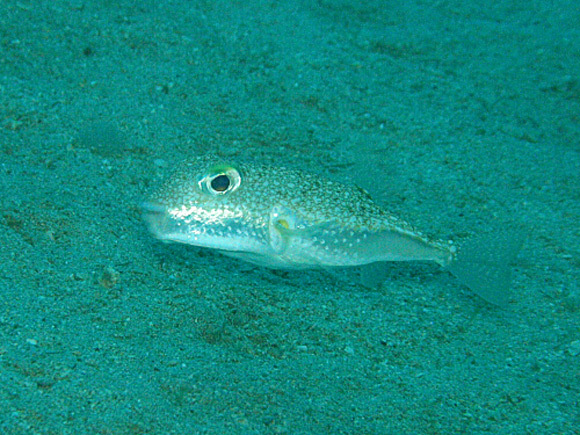 Apparently the female fish are attracted to the hills and valleys within the sand and traverse them carefully to discover the male fish where the pair eventually lay eggs at the circle’s center, the grooves later acting as a natural buffer to ocean currents that protect the delicate offspring. 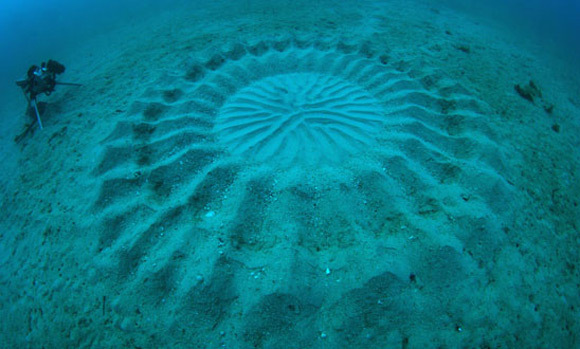 Scientists also learned that the more ridges contained within the sculpture resulted in a much greater likelihood of the fish pairing. Just home from three weeks in France. So many new things to explore. This is fantastic. This is amazing… thanks for sharing! I was just thinking the other day how much of the earth, except the ocean, has been explored and is no longer true wilderness.